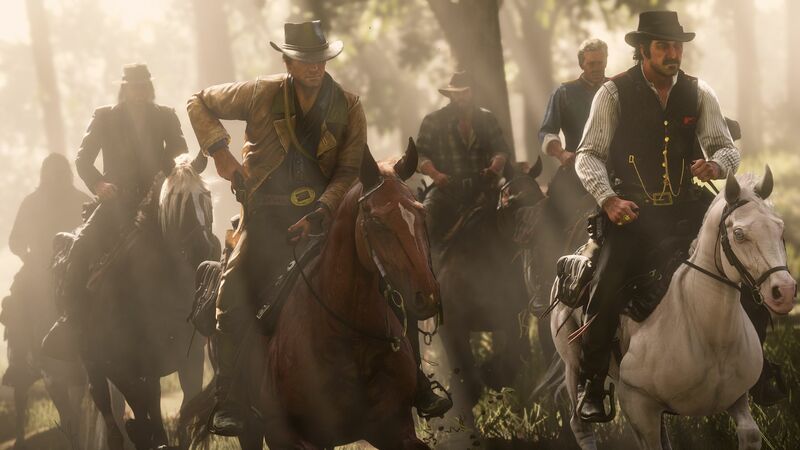 Red Dead Redemption 2 redeems Rockstar's past criticisms of boring gameplay. With EA’s ridiculous statement that single player games are dying has come forth a plethora of award-winning potential games of the year such as God Of War (2018), and Insomniac’s Spiderman for the PS4. 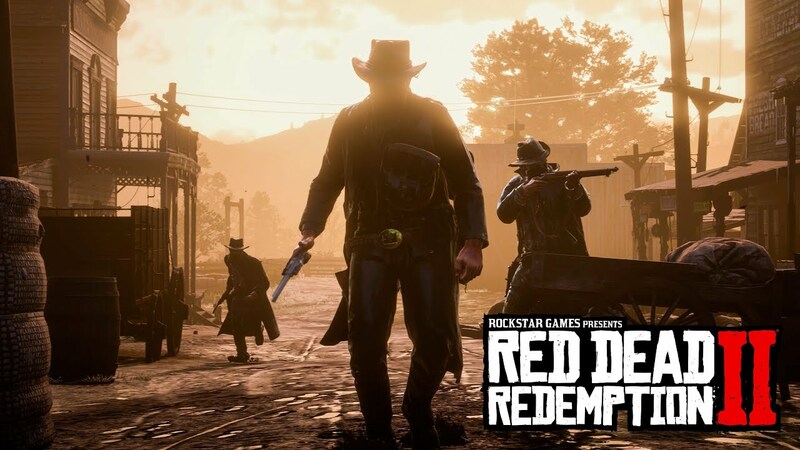 Now Rockstar has come to the plate with it’s recent sequel to a fan favorite, Red Dead Redemption 2. Or for the sake of brevity in the review, “RDR2”. 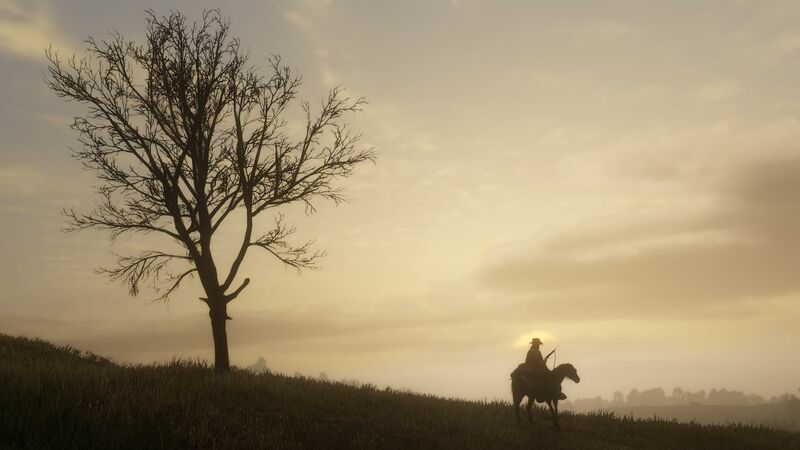 I’ve played this game since release nonstop and I am extremely satisfied with how Rockstar has created a masterful narrative that constructs a full and meaningful world. However, before I start praising this game for all it does right, I have to point out the tiny things that it does wrong. 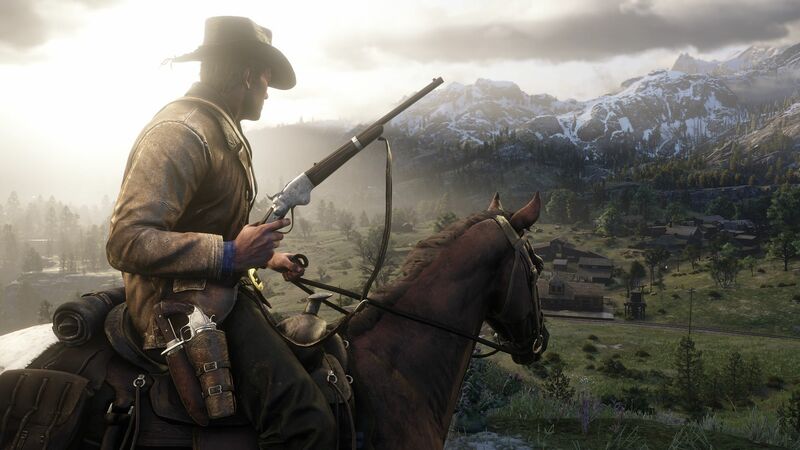 RDR2 is a massive game with a huge amount of content, it’s open world has many activities for you to play, similar to the previous game Red Dead Redemption, you have hunting, fishing, side missions, stranger missions, and random encounters that will help you or damage you depending on your actions. I’ll elaborate on all of this later on and I must say, it’s what makes the game amazing and great to play through. However, there are tiny things that bug me throughout my experience exploring Rockstar’s vast and amazing wild east. The first gripes I have with the game are the glitches, this is to be expected with a massive workload on the employees who have reportedly worked 100 hour weeks since around August of 2017. The glitches range from horses floating, dead bodies floating, stranger missions bugging out, guns and other weapons becoming useless and bugged, and finally for my hunting knife to float around my character, rendering the knife useless. These bugs are very rare, and sometimes quite hilarious. Yet this review would not be a fair one if I did not mention it. The second and last thing that bugs me is going to be included in the spoilers portion of the review. I’ll cover that later. Now for the massive amount of things the game does right. 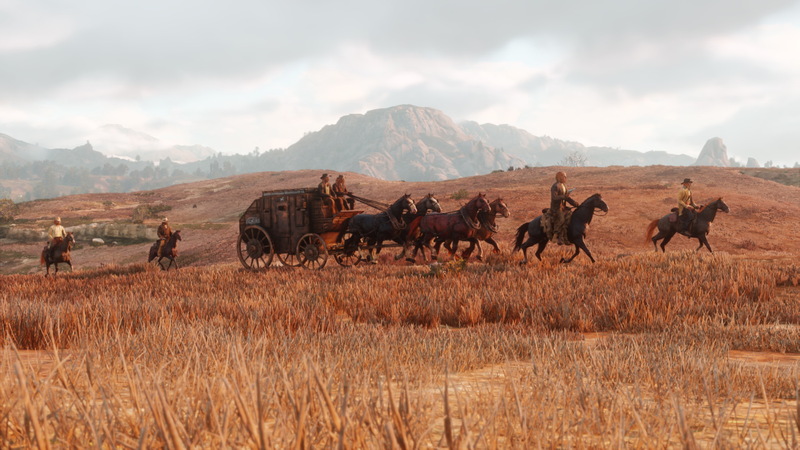 Many people criticize Rockstar for their massive worlds in which traveling is a must and has to be done manually for most of their most famous games. The Grand Theft Auto series is seemingly plagued with missions that are nothing but dialogue and driving, which is necessarily not a bad criticism. Perhaps this is why in RDR2, travel is designed to not be boring with the random encounters Rockstar has included. These encounters can range from bounty hunters and rival gangs hunting you down to you giving medicine to men who have been bitten by snakes. All random encounters serve a purpose and can be helpful later on in the game. For example, when I helped said men with the snake venom, both men in different towns covered the tab on one free item. For one man, it was a free item from the gun store or gunsmith. For the second man, it was a free item from the general store. At both points in the game, I could have easily bought what I wanted, but free is free, right? 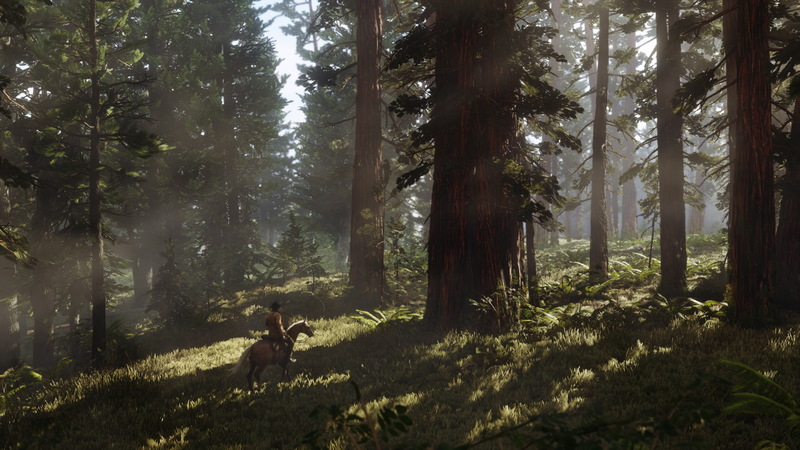 While travel is now designed to have the player watch out for interesting and dangerous encounters, the massive world has a massive amount of activities the player can participate in at any time whenever they want. 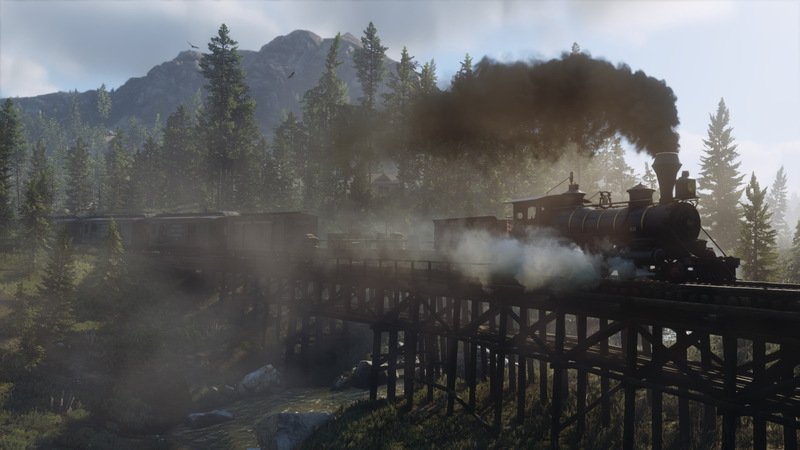 From hunting and fishing to robbing trains and stagecoaches, whether or not the player has things to do is entirely on the player and not on the game itself. This allows for great freedom similar to other massive open world games like the Elder Scrolls and Fallout series. There is no rush to finish the story at all. At the time of me writing this, I have finished both the main story and the epilogue, which I’ll cover also in the spoilers portion, however, my friends online have all stopped playing the story as soon as they were allowed to do some things granted by progressing in the story. My friend Jayson stopped for a while as soon as he could fish and could rob stagecoaches and sell said stagecoaches, while my other friend Niko, stopped playing story mode as soon as he could sell stolen goods. These people are still in Chapter 2 or 3 out of the total 6 chapters, 9 if you count the epilogue. When it comes to gameplay and how it feels to be an outlaw, it’s simply fun and satisfying. 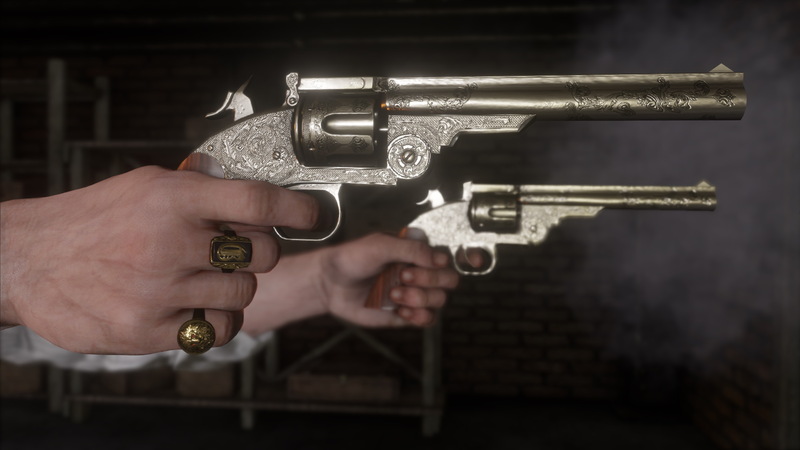 If you played Grand Theft Auto 5 or Red Dead Redemption 1, you’ll already know that the gunplay in RDR2 is fantastic and tight. Missed shots are your own fault, and that’s something I can frustratingly enjoy. Movement in the game is smooth at best and clunky at worst. Things like running and climbing are a cinch, and riding your horse through thick woods is excruciating. There is an exchange always during gameplay, and it is one that irks me at times. When you’re not killing, beating, or tenderizing any person, animal, or can of beans, there are several optional activities to partake in the Wild East, things such as dominos, blackjack, horse racing, etc. It helps to earn some pocket change and to keep things in the game from going stale. I would say that Rockstar has improved on these mini-games since the last Red Dead Redemption and it’s fantastic. I have earned hundreds in gambling by playing poker or gambling, it’s all in the art of getting into people’s heads or in the case of this being a video game, getting into their coding. 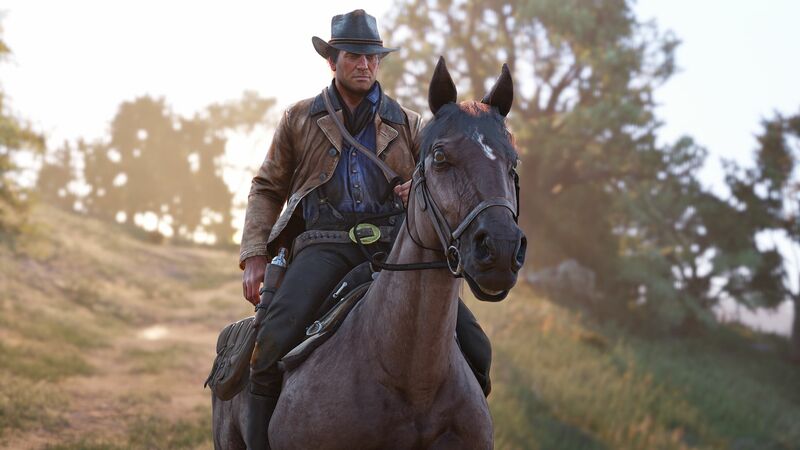 Arthur Morgan. Brother. Son. Friend. Outlaw. 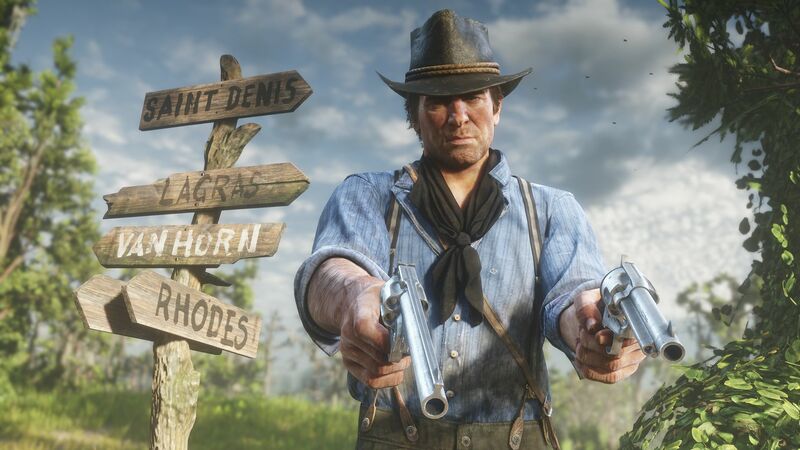 Arthur Morgan, the character you play as has to be the most well developed main character that Rockstar has made so far. This is counting great contenders such as John Marston, Carl Johnson, and Niko Bellic. 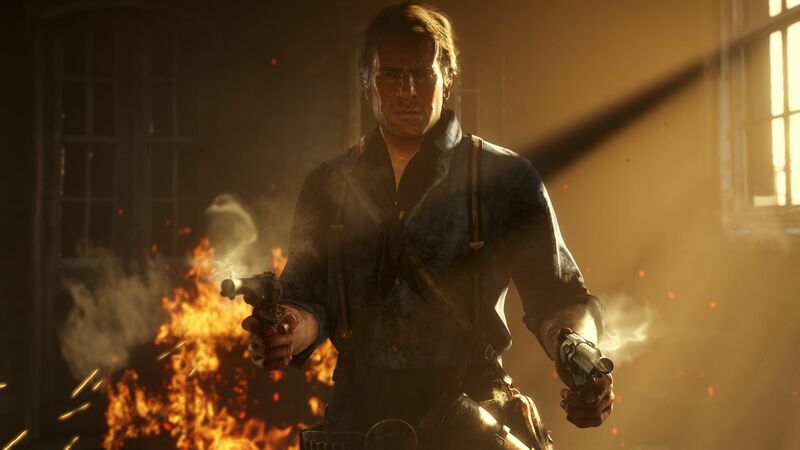 Arthur has the unique ability to seem like a hero whether or not your honor is evil, good, or neutral, the reason for this being the fact that he is protective of his gang to the point of stating multiple times that he would die for any member of the gang, including the ones who he sees as irresponsible or dangerous to the gang’s safety. This isn’t to say that he won’t question it. Whether you do everything the gang wants is up to you. As for me, and this is your spoiler warning coming up, right here, spoiler warning. I didn’t do everything the gang wanted me to because I felt it was wrong both to Arthur and the world he inhabits. 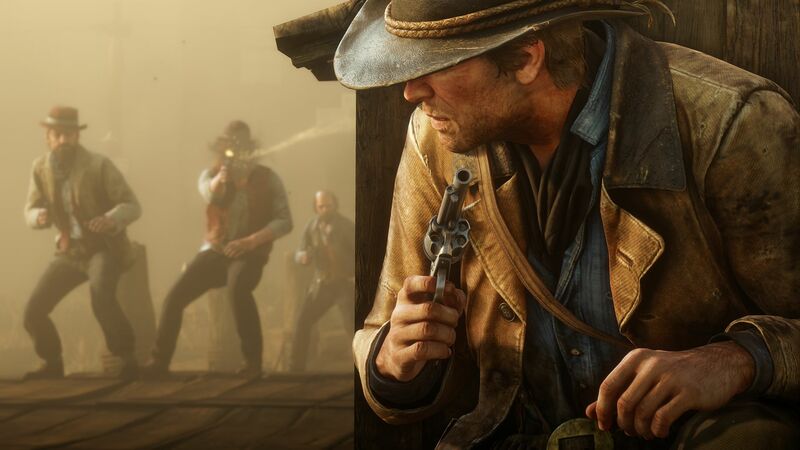 At one point in the game, Arthur is infected with tuberculosis, a disease that, back in the days of the Wild West, would make one cough up blood and eventually die. 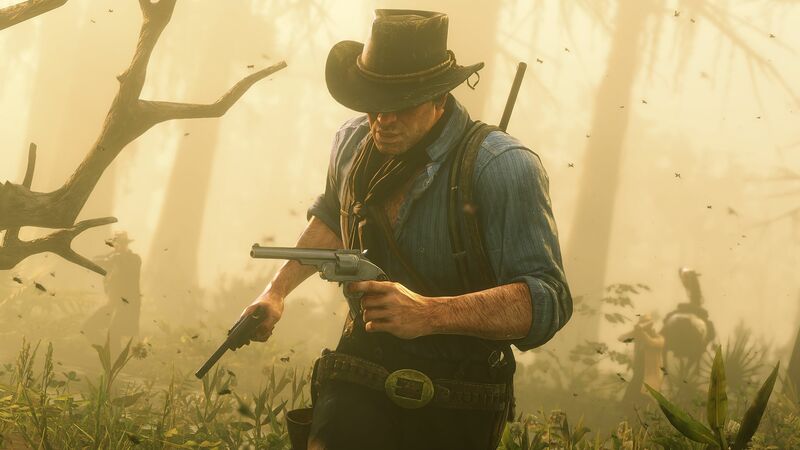 Yes, Arthur dies at the end of RDR2, and there is no way to avoid it. 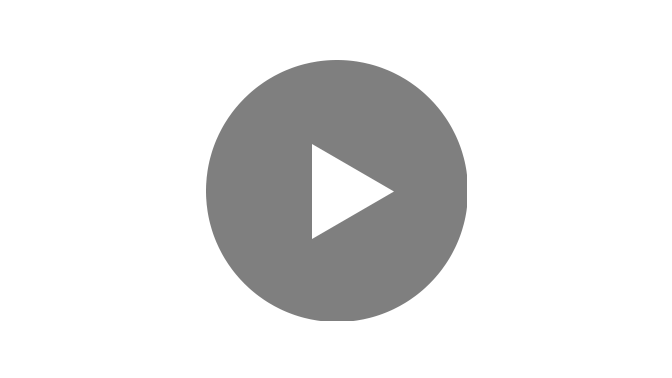 Arthur becomes infected when he is out collecting debts for the gangs’ loan shark, Herr Strauss, as one of the debtors has the disease and needed the money for his family. When Arthur collected that money, he receives the sickness as well. Essentially making the 100$ you collected worth both Arthur’s blood and his lungs. 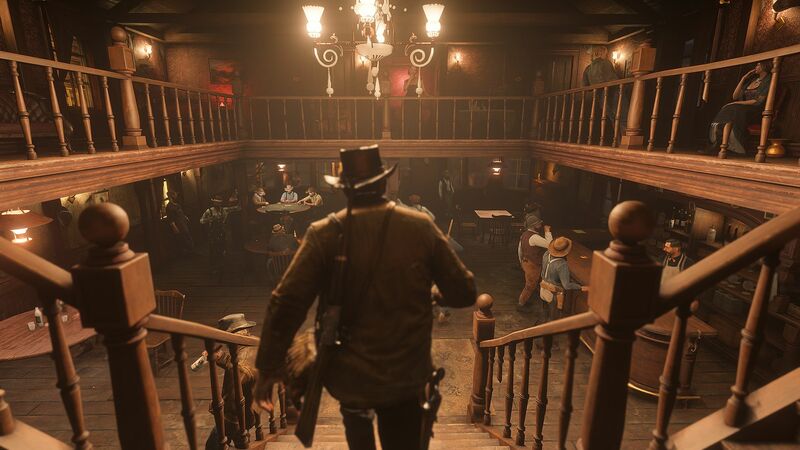 It is only near the end of the game in which Arthur’s sickness catches up with him, and you as the player have to choose between dying as a scummy outlaw or redeeming yourself as a vigilant Guardian of your gang. 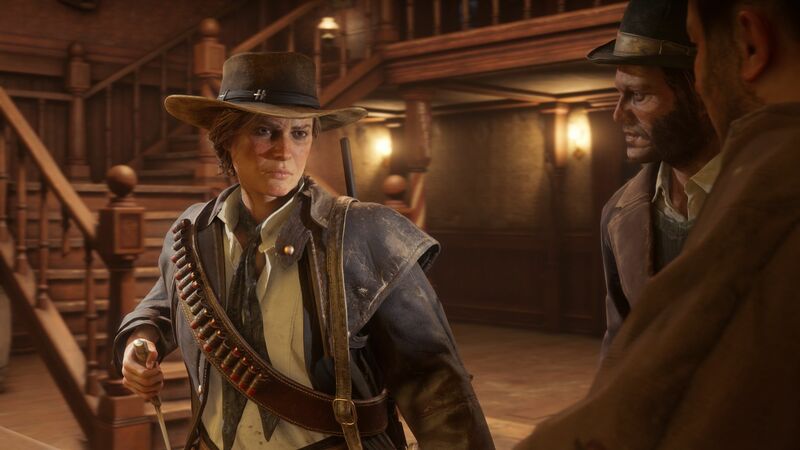 I chose the guardian outlook, I betrayed my gang leader, helped native Americans keep their land and when the Pinkerton’s came to kill John Marston and the gang, I helped John escape and I died on the mountain staring off into the sunset, reminiscing about every good and bad deed I did as Arthur. This is where I want to talk about the story and its symbolism. Throughout the story, you have honor allotted to Arthur, and this honor is counted up near the end to decide what Arthur reincarnates as. This animal, whatever you see when you visit Arthur’s grave, shows who you were during the game. For me, I reincarnated as a deer. The deer represents the good honor I acquired over the course of the game, protecting John as if he were my brother, saving the lives of people struck by misfortune, robbing only those who had enough to give, and giving money to those who had nothing left. All of those good deeds made Arthur seem to be more protector than killer near the end of his life, he was not a predator, but prey with the ability and the demands to protect what he believed was important. 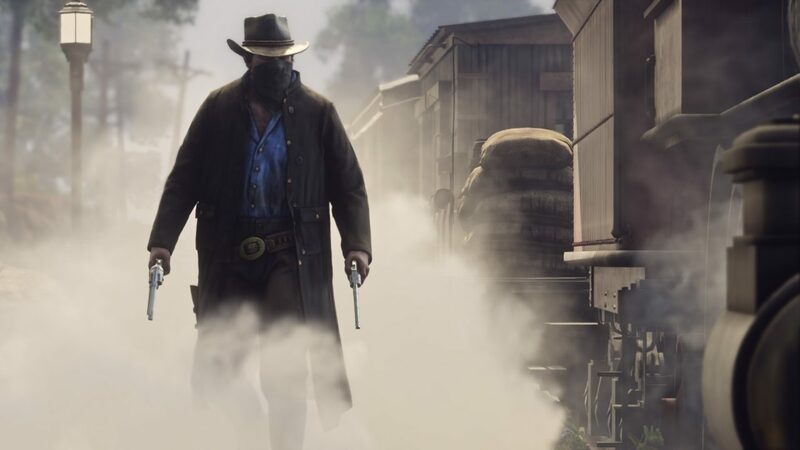 The tuberculosis essentially paints a picture of punishment for his sins as an outlaw, and whether or not you want Arthur to repent is up to you. And that’s something I have to pay respects to Rockstar for. While I can sit here and tell you that Arthur is a good person, a man who protects and doesn’t kill unnecessarily, that’s only my Arthur. And that’s something Rockstar has done extremely well with RDR2. They’ve ensured that nearly everyone, based on their personal views, will make different decisions and thus have a different story, a different Arthur. My friend Richard went around killing everyone in sight who gave him the stink eye, but in his story, he did what he thought was right. Thus his Arthur was a merciless killer who dropped people like flies, only doing right by his gang. Etcetera, the list is endless of how many iterations of Arthur there has and will be. 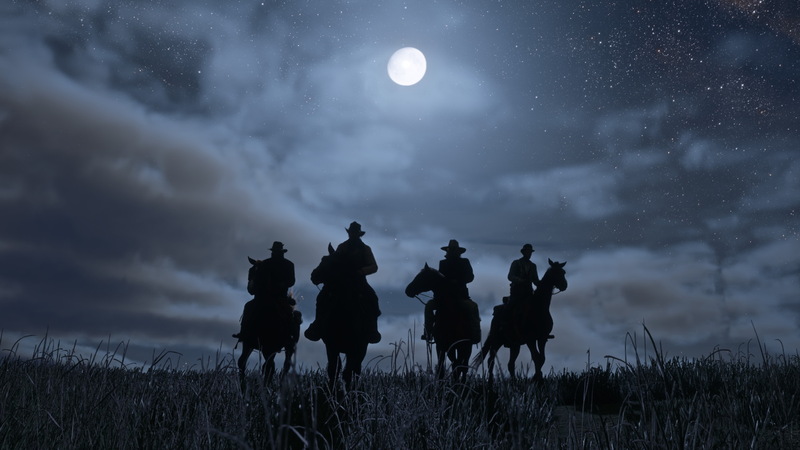 While Red Dead Redemption 2 is a prequel, it touches heavily upon the realities of cowboys and outlaws. There is no romanticism, there is no Clint Eastwood against the bandits, there is no glorification of Arthur’s lifestyle. He is an outlaw and a hunted one at that. 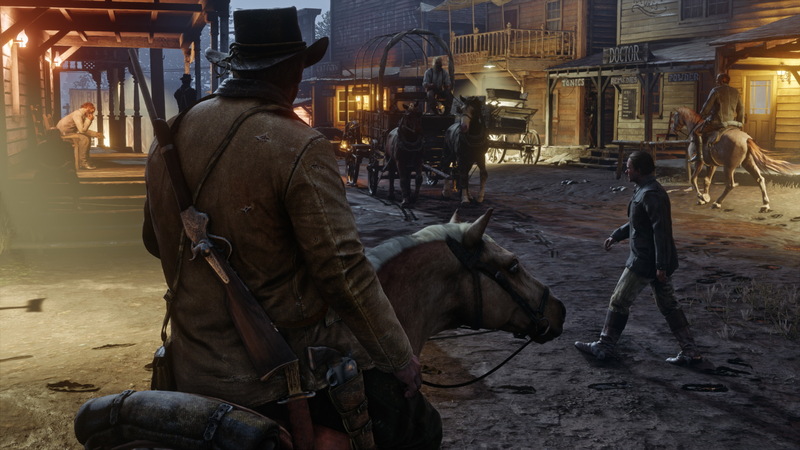 Similar to the first game, there is no happy love all save all resolution to the story of the Van Der Linde Gang. Only tragedy and hopes dashed into the sands of the wilderness. And that is something new to the table of the genre of the Wild West. Reality, and all of its consequences. Something I highly appreciate.